Each year, a huge amount of healthcare companies are exposed by hackers and security breaches going in healthcare right now. See WannaCry NHS. 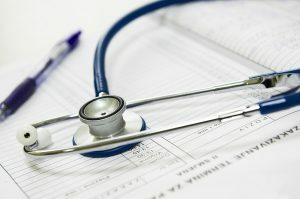 Stolen data of patients and PHI including massive amounts of hospital data is sold usually on the dark web, normally minutes after the initial hack. It happens that quick. 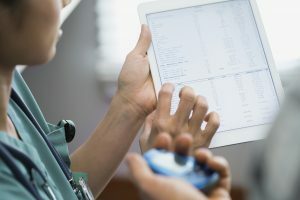 With complex hacking such as ransomware attacks and security breaches on the rise, healthcare incumbents are looking for answers to security, privacy and data transparency. The answer is Blockchain.What’s amazing is that healthcare officials are starting to take note of blockchain and instead of falling behind the curve, they are fully grasping the potential of this smart contract payment tech and are not wanting to let it go. Blockchain startup Proof.work last Monday, hosted “The Health Minister of Ontario, Dr. Eric Hoskins” to look at creating a first bilateral agreement involving this blockchain technology. One of the few selected blockchain start-ups to host the Minister, demonstrated a healthcare decentralized solution that would enable existing internal and external systems to talk to one another without the need for any complex IT system overhaul. Specific to Canada and powered by the Proof distributed stack, the idea is to create one single version of truth, always in sync. “Blockchain is still very days, meeting the minister was such a pleasure and his keen interest helped validate all the hard work my team and I have put into this” as stated by the CEO of Proof Work, Guy Aharonovsky. Canada shares a similar organized structure of health data similar to Israel, that for some countries would take years to get to. The interoperability and data liquidity whereby information can, although still with difficulty be shared, means that it’s a perfect compliment to blockchain technology. Once the data becomes longitudinally accessible, smart contracts can be created between payer, patient and provider. This makes the whole process of payments, patient engagement, pre-authorisation and valued-based-care immediate; saving money, time and speeds up the care process. This solution in Canada would work really well because of its single payer healthcare ecosystem. Healthcare ambassadors are aware of the bureaucracy involved in healthcare, therefore to remove the array of complex middleman is going to be tough. “A single payer like Canada and even the UK is in the perfect spot to benefit from blockchain” talking with the Ontario’s Minister of Health Dr. Eric Hoskins, “It’s fantastic to meet a politician who genuinely understands the irrefutable power of blockchain tech so well” as stated by the COO of Proof Work, David Suter. 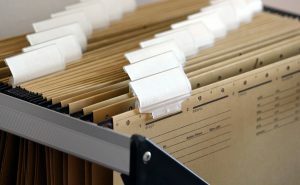 What differs in blockchain from the traditional databases is it’s like comparing the structure to a room full of filing cabinets that each have its own lock and key. The clerk checks security credentials, provides keys, insuring the file gets put back the right place always on time. Blockchain is trust in lieu of the clerk by using encryption. So instead of using an admin clerk to upkeep the files, smart contracts can send data back and forth, keeping the data always in sync, secure and trusted. ies. Similar, the process of adoption will be gradual and steady within Healthcare, not sudden. 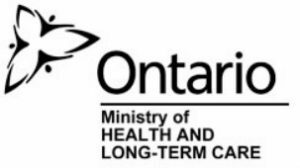 Furthermore the discussion that took place on Monday at Hubanana in Rananna between Proof.work and Ontario’s Minister of Health Dr. Eric Hoskins and his team felt like his approach and position could set a benchmark for other Health Ministers to follow. The minister showed a keen interest in moving things forward as both sides look interested in creating a test pilot together. Proof demonstrated a blockchain solution that would enable existing healthcare systems to talk to one another without the need for any complex overhaul of any IT systems. Sitting like glue as a middleware, a connector SDK interacts with medical records, financials, insurance, logistics and admin. “Creating one single version of truth, always in sync” as quoted by the COO of Proof Work, David Suter. The blockchain technology is a population health developers platform and is now looking to reach out to other global healthcare incumbents. 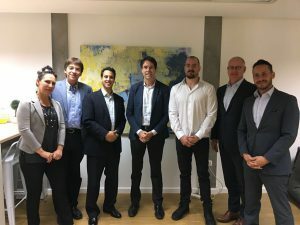 This meeting goes one step further to validating Israel’s stronghold has a global healthcare tech leader with the blockchain and its utility playing a massive part in this. To that end, Proof are currently building a pilot within the NHS (National UK Health Service) to help address mental illnesses. Every year in the UK 70 million workdays are lost due to mental illness and is increasing everyday. If you would like to know more about Proof, they will be New York preparing for the Nova nordisk pharma diabetes competition (Nov 27th) in which their distributed toolkit will demonstrate how to create an mHealth product on the blockchain. A week later (Dec 4th/5th), the tech team will also be heading out to Germany for TechCrunch Disrupt where they will be exhibiting in the Fintech section. Winner! TechCrunch Berlin 2017 - Finalists from Tel Aviv get top spot and finish in top 10, from 100's of start-ups all competing at this prestigious event.